TUP.MAS was developed in collaboration with SWISS AviationSoftware and CrossConsense based on AMOS software. AMOS is a fully integrated repair and maintenance management system. It is developed and run by SWISS AviationSoftware Ltd., a 100 per cent subsidiary of SWISS International Air Lines Ltd.
Swiss-AS is now firmly established in the MRO (maintenance, repair and overhaul) software market and sets standards in the MRO software industry. AMOS is already used by over 100 clients worldwide. 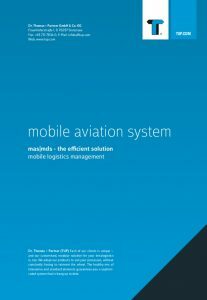 The industry solution TUP.MAS is the mobile user interface for intra-logistics in the aviation industry. An interface to Aviation ERP allows the use of mobile end devices for logistics processes and replaces traditional paper-based booking procedures. Staff is provided with current and precise information regarding any outstanding work steps. The areas of application range from incoming goods reception to return transfers, picking to annual stock-takes. Warehouse staff is in direct contact with the ERP system via MAS handheld devices. TUP.MAS supports various mobile end devices, including smart devices (including data goggles). 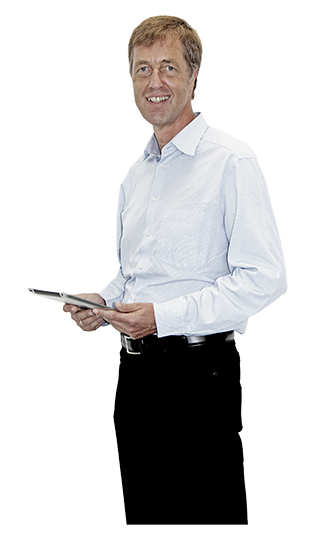 Stock quality and performance are increased on the basis of realtime information.